Madeleine etc . : 17 - MAR 2 - Submission to HoC CMS Comm. Truth of Facts or Defeat of Truth? I have a documented knowledge of a "fake news" case which I find an interesting food for thought. 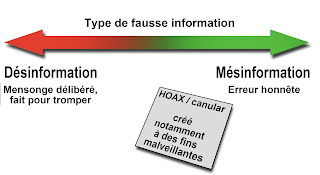 Rather than "fake news", I actually should speak of "factually inaccurate news", with consequences not only on the protagonists and on public opinion, but also on the relations between two countries, the ambassador of one having been asked to keep (his) stupid, sardine-munching mouth shut by a tabloid of the other. I reckon that, in the first place, the Committee rightly questions the meaning of "fake news". It is a very polysemic, perhaps too polysemic, expression. What remains from reality when real is denied? What is left from facts when they are refuted as soon as they contradict one's preferences? 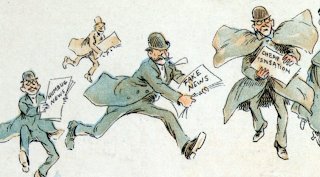 Since the election of Donald Trump, the spreading of false information issue seems to reveal a real crisis of confidence in the media and political system, as explained recently by information science researcher Olivier Ertzscheid. Everywhere, minds are agitated to try and find answers. Eli Pariser, who has imagined the concept of filter bubbles, so much questioned in recent weeks, has opened a Google Doc to collect solutions. The document now has over 100 pages and Nicky Woolf, for the Guardian, has attempted to synthesize it. What did the president of the US imply when he claimed that any negative polls (about him) are fake news? Simply this: what I dislike doesn't exist and if the real doesn't suit me, it better goes somewhere else, as well as the journalists who spread it. In post-truth world, words no long matter and nuances disappear. "Fake" here doesn't designate what is false but what is irritating. It reminds us of Humpty Dumpty claiming to Alice, met Through the Looking Glass, that when he used a word, it meant just what he chose it to mean – neither more nor less... the question being which is to be master, that's all. To say the least the outcome is a considerable impoverishment for communication.. However, criticizing the media did not appear with DT. It is a healthy and necessary practice because journalists make mistakes. Claiming themselves as counter-power, they hardly can refuse contradiction. Perhaps the media is too standardized and does not present enough different theses. Perhaps the media is too much moderate when people want things that are excessive, violent, even false, but meeting everybody's presuppositions. However when the time is immoderate, must we lose temperance? Then there are the conspiracy theories that have worryingly more and more adepts and are tamper-proof since they reverse the burden of evidence, while they present themselves as an alternative to one-track thinking, as dissidents, escaping the diktat of truth. It is the story of Bertrand Russell's space teapot in orbit around Mars: I put forward a completely wacky thesis, prove that I'm wrong! I affirm its existence and defy to prove the contrary. Consequently the slightest thesis is justified through the inability to demonstrate that there is no space teapot between the earth and Mars. How can people filled with such beliefs be brought back to reason? 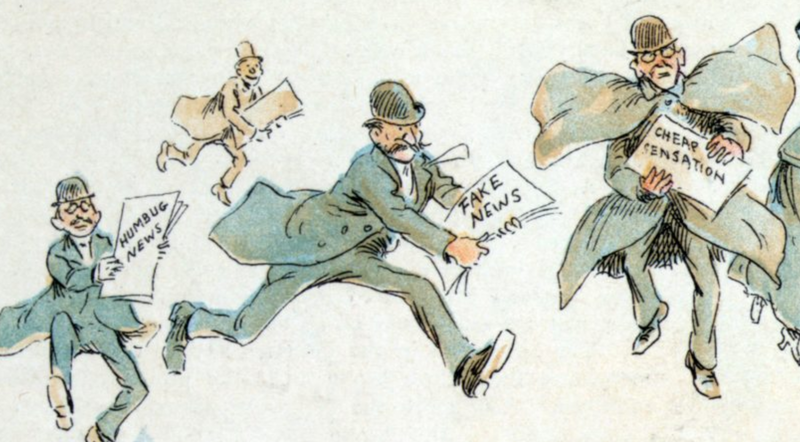 Here is my contribution to the inquiry of the Committee, a particular case that illustrates to what extent the concept of "fake news" is a complex one and has to be examined carefully. ― On July 21 2008, the prosecutors of the Portuguese Republic stated in a communiqué their decision not to proceed : With the filing order dated today (21.07.2008) issued by the two prosecutors responsible for the case, the investigation on the disappearance of the minor Madeleine McCann was closed, as no evidence of any crime committed by any party could be found. ― The letter to the Attorney General, that set out the grounds for putting an end to the proceedings, without prejudice to reopening if a new and relevant element arose, is part of the Policia Judiciaria Files that the Public Ministry later made available to journalists via DVD. 2) whether the "arguidos" (formal suspects) parents were or not involved in their daughter's disappearance (that status implies that supported suspicion exists). ― This same argument of insufficient evidence was used, on July 7, 2008, by James Lewis Q.C., representing the Leicestershire Constabulary Chief Constable, echoing the written statement of the Assistant Chief Constable Chris Eyre, who worked closely with the Policia Judiciaria, to deny the MC lawyer, Tim Scott QC, access to the documents held by the LC regarding the case : While one or both of them [the McCanns] may be innocent, there is no clear evidence that eliminates them from involvement in Madeleine's disappearance. ― In December 2009, this position was reflected by the British government's Foreign & Commonwealth Office, when responding to a Freedom of Information request about the missing child, Ben Needham. They wrote : You will also be aware of the Madeleine McCann case. Both this and the Needham case are categorised as missing person, rather than child abduction cases, as there is no evidence in either case to support whether the children were or were not abducted. ― Furthermore, the filing order states that the prosecutors requested a reconstitution of the events because of contradictions in the arguidos and witnesses' statements and lack of physical confirmation. Carrying out a reconstitution would eventually dismiss once and for all any doubts that may subsist concerning the innocence of the missing [child's] parents. ― Given the refusal of their travel companions to take part in a reconstitution, stated the prosecutors, the main damage was caused to the McCanns, who lost the possibility to prove what they have protested since they were constituted arguidos: their innocence towards the fateful event. Last but not least the investigation was also disturbed, because said facts remain unclear. (in the framework of the criminal investigation, not in a court of law). ― The filing order lifted the arguido status of the MC, as there was no indication of the practise of any crime. ― It is common knowledge that prosecutors do not have the capacity to demonstrate either innocence or guilt, only evidence can. It is also common knowledge that prosecutors do not issue rulings, judges do. ― A international press release was organized in the UK by the McCanns' PR, Clarence Mitchell, on the same July 21, 2008. ― the media was informed that the prosecutors issued a filing order clearing the McCanns. That was wrong. ― What the order actually did was lifting the arguido status, a mechanical consequence of the filing. No correction was made by the media when the translation in English was published and available on line. Is it a case of fake news or of deliberate ignorance or of wishful thinking ? Whose accountability was that ? ― Those who read the filing order couldn't but react to the MSM headers, with no result. ― Fights started soon in online forums between those who claimed innocence and those who pointed an accusing finger at the McCanns whose neglect allowed abduction to occur, two attitudes lacking pertinence but harming. ― On March 10, 2009, Dr Gerald McCann, his Carter Ruck lawyer Adam Tudor and his PR Clarence Mitchell gave evidence at the Culture, Media and Sport Committee on Press Standards, Privacy and Libel. Instead of calling "disappearance" what happened to Madeleine MC, in conformity with the prosecutors who claimed that the crime had not been determined, they spoke of "abduction" as fact. Nobody protested, as if nobody had ever read the filing order of the prosecutors, nobody recalled that the juridiction in this case belongs to Portugal. ― Days after the filing order, the head of the investigation for the five first months, who had just retired, published a book (A Verdade da Mentira). ― In that book Gonçalo Amaral took over his investigative team's conclusions that led the prosecutors to make the McCanns "arguidos" (suspects of concealment of cadaver after accidental death in the flat). ― The book was by no means compatible with the erroneous news that the McCanns had been cleared, forcing the public to choose their party, instead of serenely reflect on the situation. 2) obtain a compensation of 1.250.000 euros for damages (due to hampering the investigation with the theory that the missing child had died). ― From September 2009 on started a long list of trial sessions and hearings. The book was banned, then unbanned (by an Appeal Court, confirmed by the Supreme Court), then banned again (by the First Instance Court that judged the "prejudice and compensation" part), then unbanned by an Appeal Court, confirmed by the Supreme Court. ― From September 2013 on, the "prejudice and compensation" part of the lawsuit started (it never was a libel trial). The MC parents won in the first instance, but their children did not. However the parents made no appeal on their behalf. ― The ex-superintendent appealed and the McCanns lost in the Appeal Court. They appealed to the Supreme Court of Justice (STJ) that issued a ruling confirming the decision of the Appeal Court on January 31, 2017. ― In the STJ ruling, the McCanns allege that they were already cleared through the filing order of the criminal investigation. ― The judges claim that the issue of the appellants' penal liability, in other words their innocence or their guilt concerning the facts leading to the disappearance of their daughter does not have to be appreciated (by the court). ― The judges also underline the serious reservations raised in the filing order as to the likelihood of the allegation that Madeleine had been abducted. Let not be said, too, that the appellants were cleared by the order of filing the criminal proceedings. In fact that dispatch was not proclaimed by virtue of the Public Ministry having gained the conviction that the appellants had not committed any crime. The filing was decided because it was not possible for the Public Ministry to obtain sufficient evidence of the practice of crimes by the appellants. There is, therefore, a remarkable difference, and not merely a semantic one, between the legally admissible grounds of the filing order. Thus it does not appear acceptable to consider that the alluded dispatch, based on the insufficiency of evidence, should be treated as evidence of innocence. No, the Portuguese Justice had not changed their minds after 10 years, it had always been there, written in an official document made available in English, pro bono, by members of the public who cared for facts and translated the legal summary. No newspaper admitted that they should have checked the facts. Just applying that simple, basic principle ! The following days, political correctness or not, the embarrassing issue, reduced to another kind of biased news was over and never to be heard of again. Possible solutions fall into three main categories : synthesize information by human editors, use crowd sourcing (that is, the crowd of Internet users to sort the wheat from the chaff, people being allowed to have an auditor status for example), or find technical or algorithmic solutions. 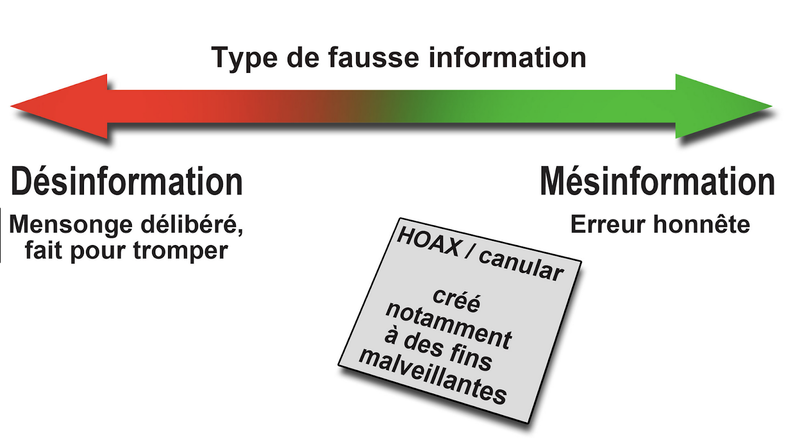 In February 2017, the newspaper Le Monde launched "Décodex", a device that evaluates the reliability of media sites. One of the serious difficulties is that people nowadays mainly read titles, lack of time, laziness or rush of uncontrolled and unorganized information’s. Trusting the opinion of competent people seems inescapable. Can one verify everything to establish absolutely the truth of the facts ? Sometimes we have to rely on someone's testimony, but some witnesses do not really see what happened, some can have a distorted view, some may be shocked, other may invent testimonies that do not exist. Therefore one should not rely on a single testimony but cross-reference data. Could the criterion of weakness of an opinion be its inability to admit objection? In other words, shouldn’t opinions aiming to be taken seriously be submitted to the possibility of their refutation? Then nothing more, not even a link to the Interim Report on July 29, 2018 nor to the Final Report on February 14, 2019.